The Aquarium is a great place to see science in action. Our Conservation and Research departments are doing great things, from studying the effects of climate change on coral reefs and other marine ecosystems to actively researching and protecting endangered North Atlantic right whales. And we're not alone in our efforts to learn more about our blue planet. In fact, you can meet some of the Aquarium's peers during an open house on the EPA's ocean survey vessel, the Bold. On Sunday, June 27, the Bold will be docked at Boston's Fan Pier from 11 a.m. to 4 p.m. Families are invited aboard the ship to see working research equipment up close, meet the ship's scuba divers and learn from marine scientists with Massachusetts Coastal Zone Management, Massachusetts Bays Program and UMass Boston Urban Harbors Institute. 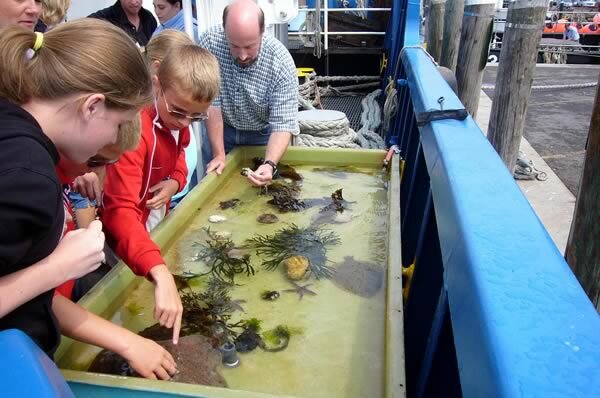 Plus, Aquarium educators will be bringing a cadre of live tidepool animals—like the kind you find in the Aquarium's Edge of the Sea exhibit—that guests can touch and learn about during their visit aboard the Bold! 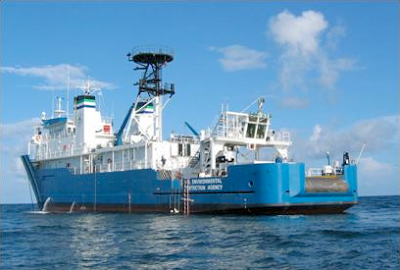 The OSV Bold is a converted U.S. Navy 224-foot ocean surveillance ship that is specifically designed to help EPA conduct water sampling and perform data analysis. The vessel is staffed by a team of EPA scientists who conduct surveys with partner research institutions and government agencies in ocean waters off New England and other coastal areas of the U.S. The ship is used to monitor and assess the impacts of pollution and the health of our coastal and ocean waters, and is outfitted with state-of-the art equipment used to collect samples including water and sediments and has onboard laboratories. Check out the Bold’s kids website for great information and fun activities and games to do at home!